The coronation night of the most awaited and anticipated Miss Cagayan de Oro 2013 happened last August 24 at the Lim Ket Kai Mall Atrium. Minutes before the pageant, the atrium was already filled with supporters, friends, family and relatives of each of the candidates. The audience inside the atrium brought their own streamers and banners with their candidate’s photos on it. All were eager to see their candidates step out of the stage. The moment the candidates went out on the stage, the venue was filled with the audiences’ cheers and applause. People were screaming out their candidate’s name and number to show their support. Candidate no.1: Keena Alyssa Bell S. Dacubor – Ms. Stargate Dream Resort and Ms. Peak Review Center. Candidate no. 3: Mary Mikaela C. Montalban – Ms. Natasha and Ms. Globe Texter’s Choice Award. Candidate no. 5: Amadea Piatti: Ms. Sanctuary Salon and Spa, Ms. Hairscape, Best in Mags Casual Ware, Ms. GMA Kapuso, Ms. Rejuv Ginseng Soap, Ms. Myra Girl, Ms. Flawlessly U, Darling of the Press Award and Best in Swimsuit. Candidate no. 7: Karissa Grace R. Falcon – Ms. Congeniality and Best in Talent. Candidate no. 9: Kristia Jolina B. Alde – Ms. London Eyelash Extension, Ms. My Phone, Ms. Primavera Residences, Ms. Photogenic, Best in Evening Gown and Best Designer’s Gown. Candidate no. 11: Cyd Marie A. Simene – Ms. Lerouge Spa and Salon. 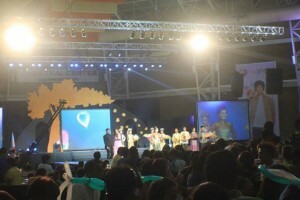 After the special awards, the top five were announced. They were in their evening gown attire when they were serenaded by the famous Kapamilya actor Matteo Guidecelli. The moment the hunky actor stepped out on the stage, the crowd went crazy. But the appearance of Matteo Guidecelli was not the highlight of the show; it was the announcement of winners that made the audience stand on their seats. At the end of the pageant, candidate no. 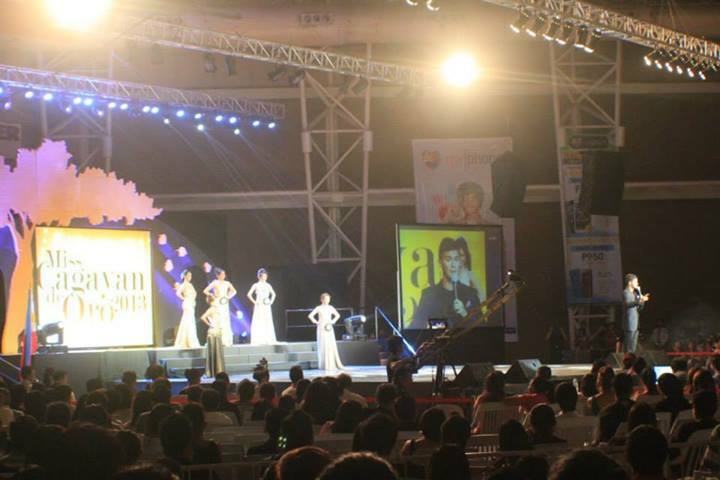 5 namely Amadea Piatti was crowned as Ms. CDO 2013 making candidate no. 9 Kristia Jolina B. Alde the Ms. Tourism, candidate no. 3 Mary Mikaela C. Montalban as the 1st runner-up, candidate no. 1 Keena Alyssa Bell S. Dacubor the 2nd runner-up and candidate no. 4 Mary Joy Obsioma as the 3rd runner-up. 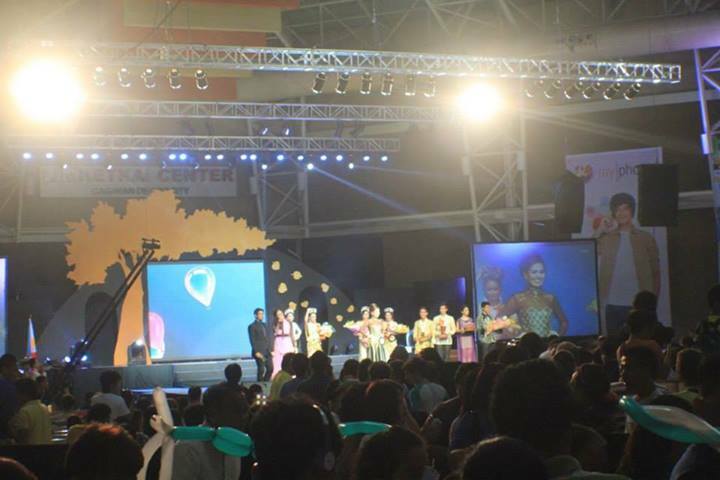 It was a spectacular event as it was attended by the VIP’s of Cagayan de Oro City. The show was also hosted by Mr. Gabby Eigenmann of GMA Kapuso and Ms. Anna Marie Igpit. Congratulations to all the winners. They all deserved their crowns and awards. Kudos for the successful show!